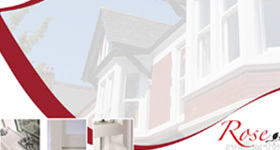 Charisma Rose uPVC sash windows is our most cost-effective sash window. It merges traditional ovalo detailing with the performance benefits of modern materials and manufacturing techniques, resulting in an all round performer that’s suitable for any type of property. It comes with a range of premium features, including inward tilting sashes as standard, allowing you to clean the outsides from the inside. There’s also a discreet aluminium anti-jemmy bar to enhance security, triple brush seals for excellent weather performance, clip-on or run-through horns and a wide range of range of Eurocell trims and add-ons, making it versatile and simple to fit. Like all windows in The Rose Collection, it offers excellent thermal and acoustic performance and can have its security enhanced even further with Secured by Design options. And homeowners will love the fact that their new windows are easy to operate an extremely low-maintenance. 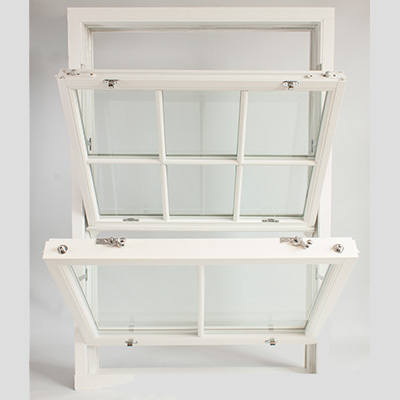 Our most cost-effective sash window, to suit any project. Sculptured ovalo sightlines for a traditional look. 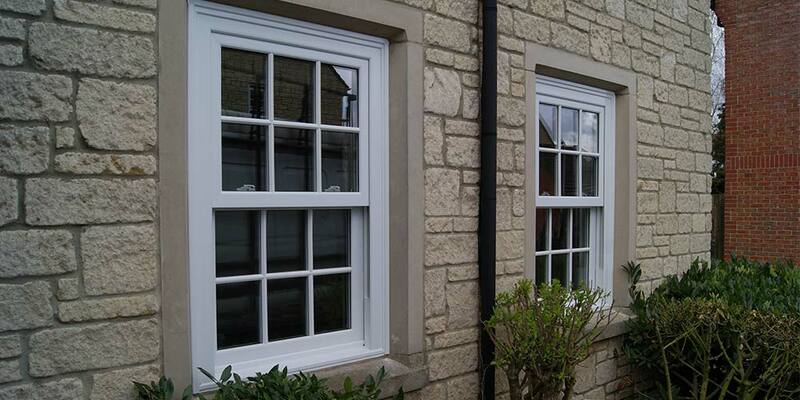 Charisma Rose uPVC sash windows have been designed to suit a wide range of projects. From traditional to modern, retail to commercial, Charisma Rose sash windows are suitable for any property. 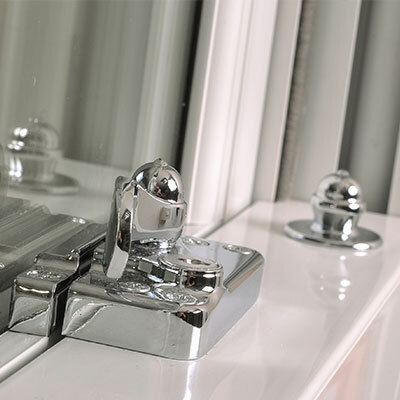 With this in mind Charisma Rose sash window is competitively priced, making is especially useful when tendering for new build and commercial projects. But just because it’s cheaper, doesn’t mean it offers less. It offers excellent ‘A’ rated thermal performance, great sound insulation and enhanced security. And with options such as run-through horns, a deep bottom rail and different furniture types, it can be dressed to suit any setting. 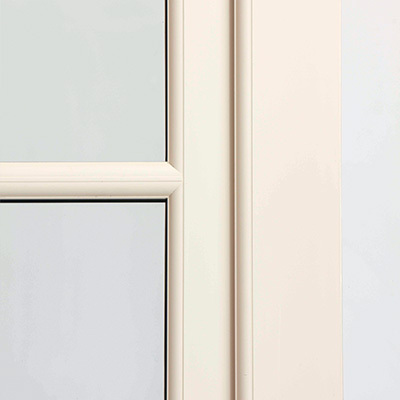 Ultimate and Heritage Rose uPVC sash windows have flat chamfered putty-style glass lines. Charisma Rose is different – it uses sculptured ovalo lines throughout for a traditional, soft look. And it’s not just the glass lines; the ovalo detailing continues through the optional deep bottom rail, the anti-jemmy bar and the astragal bars as well. The result is a consistent traditional understated style that works well on new and old properties. Charisma Rose uPVC sash windows are available with a wide range of options, allowing you to customise it to suit your customer’s exact needs. It’s available in six standard colours and finishes – including smooth cream – or can be painted to any RAL colour. It has a deep bottom rail option and a range of sub-cills. Like all sash windows in The Rose Collection, you can add Secured by Design to enhance security, or acoustic glass to increase sound insulation. And that’s just the start. 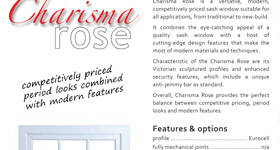 Contact us to find out just how customisable Charisma Rose uPVC sash windows really are. Whatever you want, we can probably do it! 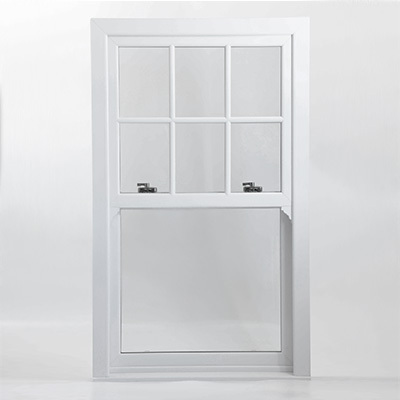 While Charisma Rose uPVC sash window looks just like a traditional sash window, it also has all the benefits of modern materials and manufacturing techniques. 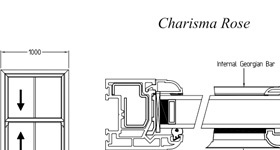 It’s energy efficient; Charisma Rose sash window is ‘A’ rated as standard. It offers excellent acoustic performance helping to block out external noise, and it’s PAS 24 accredited, so it’s strong and secure. This can be enhanced even further with optional Secured by Design rating. Like every window in the Rose Collection, both sashes tilt inwards to make them easy to clean from the inside. And best of all, Charisma Rose sash windows are easy to operate, very low maintenance and never needs repainting.